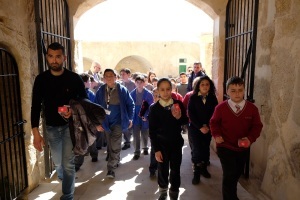 Secondary school children in Malta & Gozo will have the opportunity to engage with Valletta’s diverse heritage and history together with Discover Valletta. 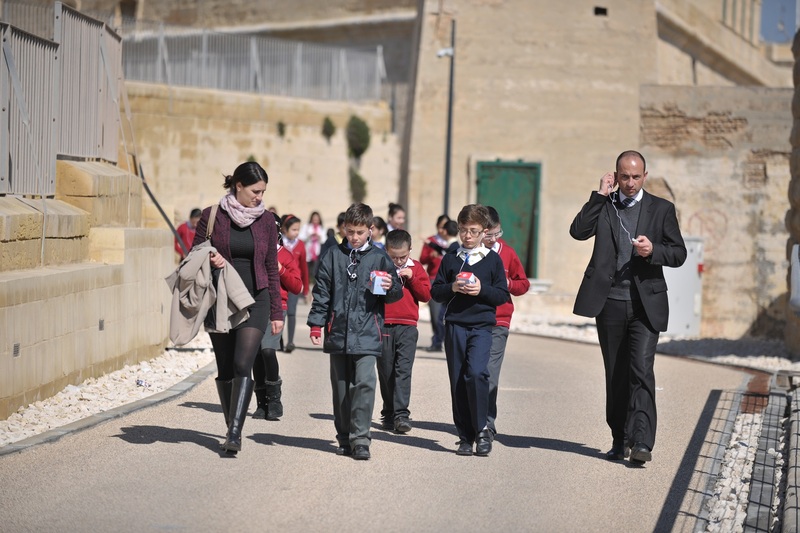 Discover Valletta takes pupils on a journey through the fascinating history of Valletta. This project creates a series of brief narratives about people and places related to our capital city, available in audio format through MP3 players which will be distributed in schools. 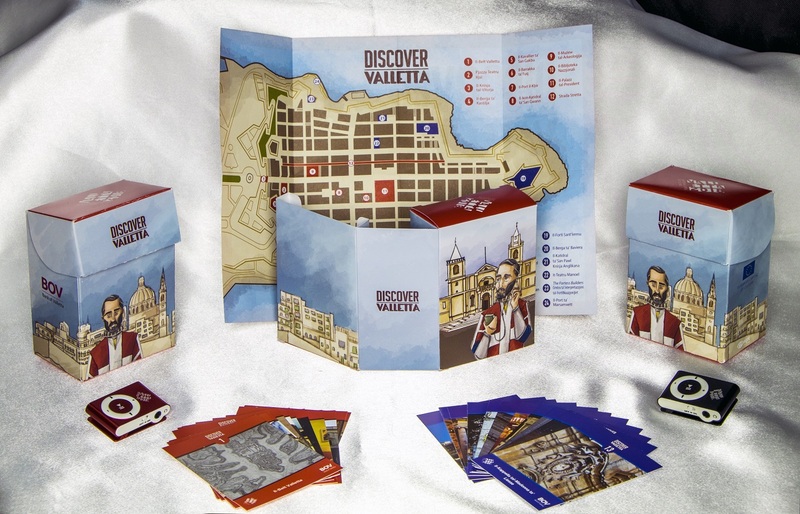 Each pack of Discover Valletta consists of an MP3 player, loaded with 24 bi-lingual audio tracks, outlining the history of 24 locations, together with a number of flashcards with fun and educational information about each and every place. 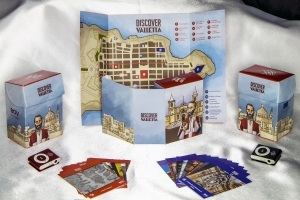 A map of Valletta linking locations and tracks will also be included in the Discover Valletta pack. Written by Trevor Zahra, the stories encourage students and their teachers to discover new elements of Valletta and reconsider myths and legends from a new perspective. The students will be able to keep the pack, allowing them to revisit the capital city and encourage their relatives to live this fascinating experience! 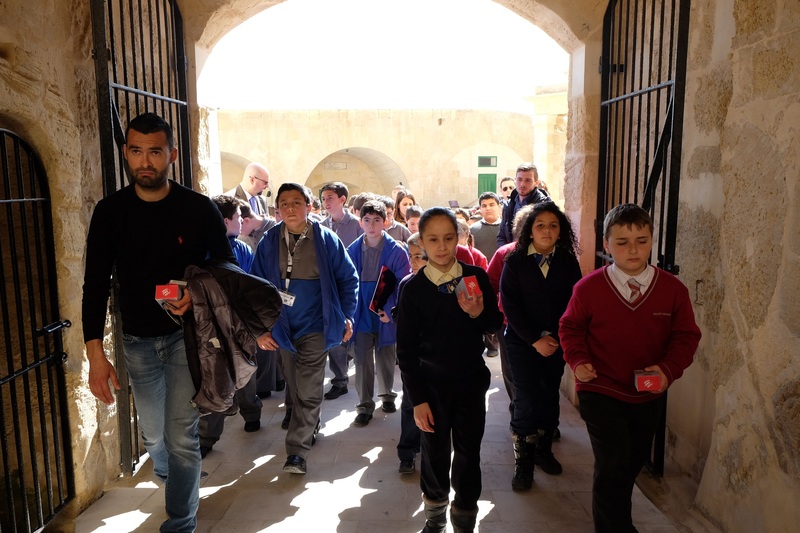 Discover Valletta packs, which are sponsored by the Bank of Valletta and are fully endorsed by the Ministry of Education and Employment, are being distributed to all Form one students in the run up to 2018.